This wedding was a little extra special for me because several years ago, I shot the groom’s high school graduation photos. 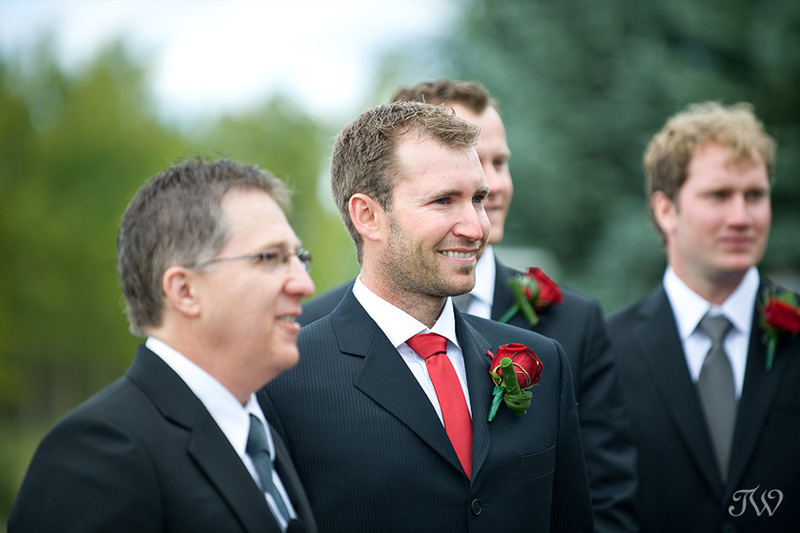 How fun to be their Calgary wedding photographer at Hotel Arts and see him married to the beautiful Reanna. Let me tell you that this couple are much loved. It was such a pleasure for us to be part of this elegant and fun-filled day. All the best to you Jordan and Reanna!! Thanks to the team at Hotel Arts, everything at Jordan and Reanna’s wedding flowed seamlessly. Let me tell you about my first glimpse of this reception room. My jaw literally dropped. Jody from OneWest Event Design & Rentals orchestrated a breathtaking design in shades ranging from coral to clementine. Reanna and Jordan gathered a group of outstanding vendors for their big day. Be sure to check them out. Venue: Brian from Hotel Arts made everything flow smoothly. Event Design: Congratulations to Jody from OneWest Event Design & Rentals on her breathtaking design. Credit must be given to Larry & Joseph who provided the jaw-dropping florals at the venue. Back in October of 2010, I was so pleased to work with Lisa Vettese and the team at Calgary Bridal Guide on a shoot for the cover of the book. We had two themes in mind that day and therefore two locations. 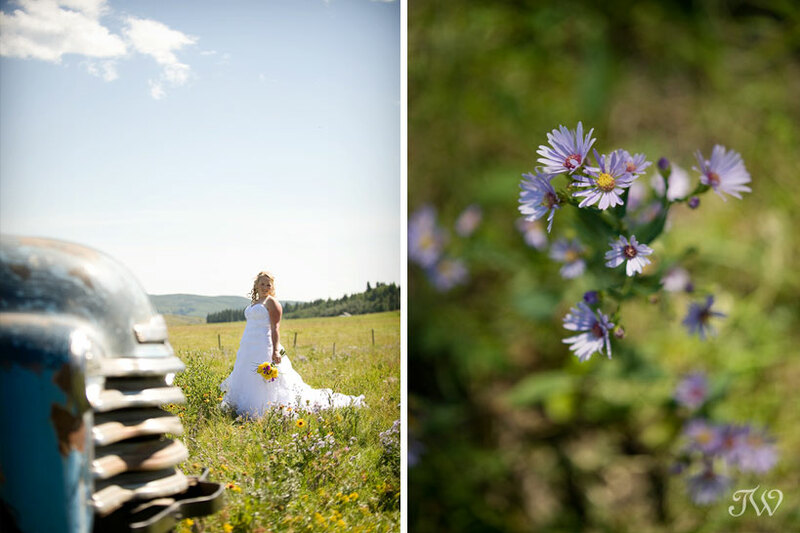 Our first location was a barn north of Calgary and we were working to achieve an organic, feminine, vintage feel. My photo that was selected for the cover was taken at our second location and is due to be released in December 2011. It remains under wraps for now but watch for details on that portion of the shoot later in the year. In the interim, I’ve posted my favourites from the first location on the blog today. 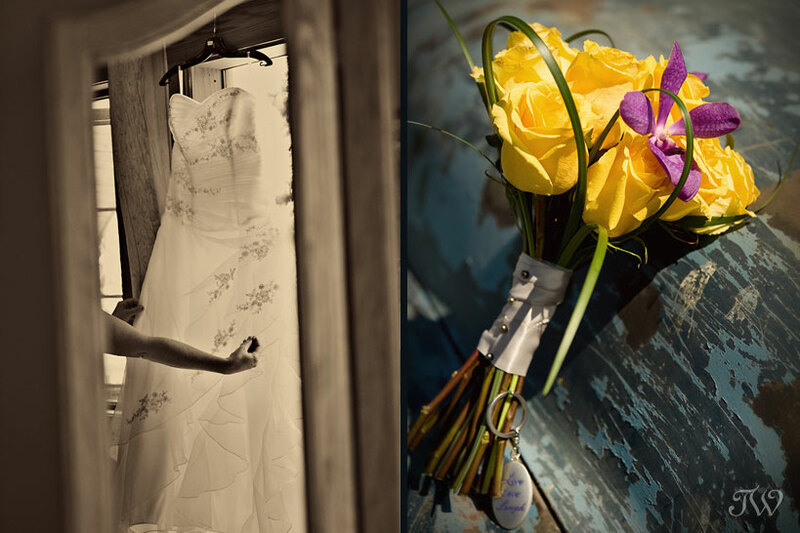 You can also find more images peppered throughout the Calgary Bridal Guide (on pages 28,51, 56, 57,120). Be sure to pick up a copy. We worked with a group of talented vendors to make this shoot happen. Special thanks to the Roberts family for use of the location. Well this week is off to a great start. 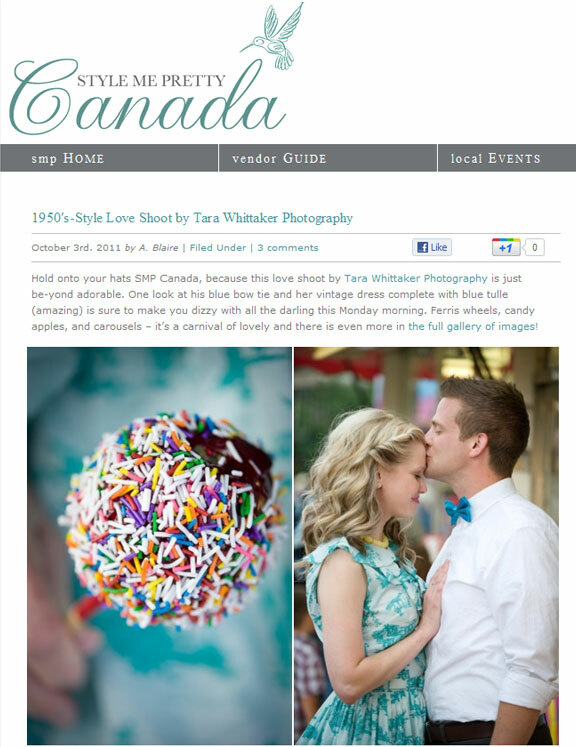 Kristin & Jon’s 1950’s love shoot was featured on Style Me Pretty Canada today. What fun! See the full article here. Thanks SMP! 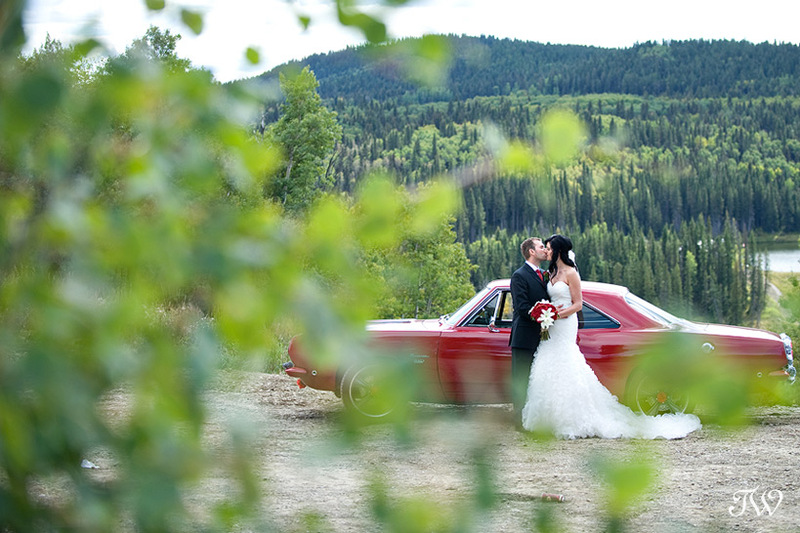 We had the distinct privilege of taking Whitney & Tyler’s Cochrane Ranche House wedding photos. We started the day at the Bride’s family home west of Cochrane. 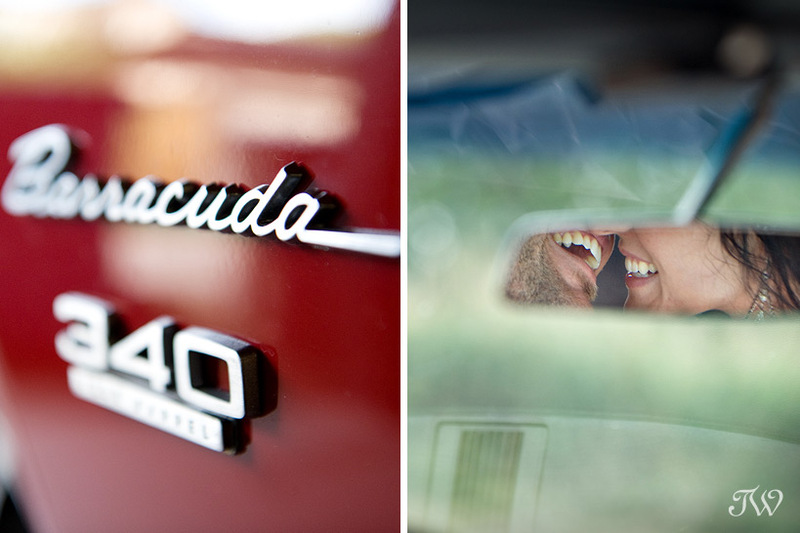 The Father of the Bride pulled out all of the stops, including his vintage Chev for photos. Whitney & Tyler’s ceremony was flavoured with rustic charm, bright summer colours, laughter and of course…lots of love. Congratulations Whitney & Tyler!! The bride’s arrival from the viewpoint of my second shooter, Wendy Dixon. The contrast of the dresses and flowers made for fantastic photos. Whitney and Tyler had a genius dessert idea – a Mackay’s Ice Cream bar at the reception. Let me tell you that it was a huge hit with the kids and the adults like. My second shooter, Wendy, captured the little girl putting the “cherry on top”.